Is there a better alternative to Absolute LoJack? Is Absolute LoJack really the best app in Security category? Will Absolute LoJack work good on macOS 10.13.4? Absolute LoJack is a robust theft recovery solution. In addition to keeping your data safe, Absolute LoJack will aid in the recovery of your stolen laptop, smartphone or tablet and return to it you. 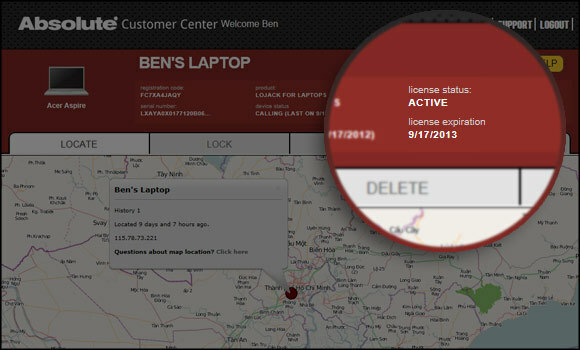 Locate your device, lock it against unauthorized users and permanently erase files, all from your remote location. Even if thieves reset your device to factory settings or wipe your hard drive, patented Absolute persistence technology re-installs the software despite their best efforts. Your identity is protected. Your data is protected. Your device gets back to you, where it belongs. Version 1.2.0.37: Release notes were unavailable when this listing was updated. Absolute LoJack needs a rating. Be the first to rate this app and get the discussion started!